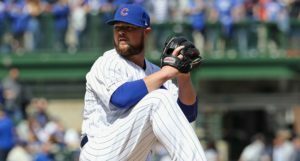 With Jon Lester on the injured list, the Cubs were set to move Tyler Chatwood into the starting rotation starting on Sunday in what could have been a glorified bullpen game. But Mother Nature spared the Cubs from having to do that, which has allowed the team to re-shuffle the deck and line up more favorable rotation matchups this week. Darvish, Quintana and Hamels in Miami. Chatwood will be available out of the bullpen. 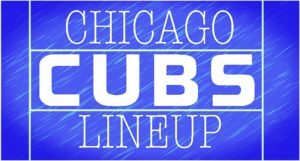 The Cubs have opted to skip Chatwood and set up their rotation with Yu Darvish, Jose Quintana, and Cole Hamels will pitch Monday, Tuesday, and Wednesday, respectively. Darvish is coming off a start that had mixed results, but was far more encouraging than his regular season debut against the Rangers. Quintana and Hamels turned in absolute gems in wins against the Pirates and Angels on back-to-back days. 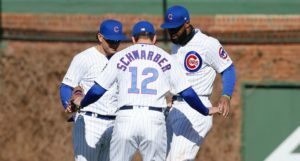 And as Brett pointed out this morning, the Cubs could get Mike Montgomery back from the IL as soon as Monday, further bolstering the pitching staff. 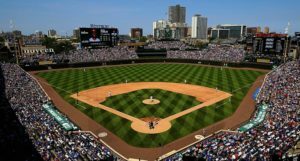 All things considered, one can see why the postponement of Sunday’s game could be beneficial for the Cubs as they move into this week. Now the Cubs the option to go with a four-man rotation until Lester is ready because the team won’t *need* a fifth starter until April 27. And while Lester could be eligible to return off the IL on Friday, there is no need to rush him back if his presence in the rotation isn’t absolutely necessary. Rest up, big Jon. It’s a long season.